Are you a cooker of any proficiency? Do you perhaps run a bakery business out of your home or simply cook for your own pleasure and sustenance? In whatever case, you’ll want to be sure your kitchen is well-equipped to make your cooking as efficient and, most of all, as SANITARY as can be. And a great place to start in that endeavor is to get quality countertops installed. But just where CAN you start when it comes to installing your countertops? You have quite a variety of options to choose from: granite, marble, metal even, etc. While we can’t tell you what’s best for your exact culinary wants and needs, our tile and marble pros CAN suggest a material that’s an all-around great addition to ANY kitchen at ANY level of proficiency: quartz. Of course, once you get your new countertops installed, you’ll pretty much be saddled with them for quite some time. Why, exactly, SHOULD you choose quartz as your countertop material? A beautiful kitchen is a happy kitchen. Let’s face it: No one has any sort of an appetite when they’re surrounded by all manners of filth, and stains are certainly about as filthy as they come. With quartz countertops, though, you won’t have to worry about stains. After all, quartz is naturally resistant to stains, meaning it’ll stay beautiful and keep your appetite going strong throughout even your messiest cooking endeavors! Indeed, quartz will help keep any kitchen looking beautiful no matter WHAT conditions you subject it to — helping your home stay beautiful and, of course, VALUABLE. Of course, looks aren’t everything, as they say — and the saying is certainly never more true than when it comes to your home’s major installations. As you pick your countertop material, you’ll want to be sure that material will be made to last. After all, you won’t want to find yourself replacing your countertops after a mere handful of years. You’d certainly not get your money’s worth in that instance! Your kitchen counters will endure some of the harshest conditions that you can possibly subject anything in your home to, so you need to be sure that your counters will be able to stand up to those conditions. And with quartz, you can rest assured that your countertops will be able to handle EVERYTHING that your cooking can throw at them, remaining beautiful and STRONG for DECADES to come! 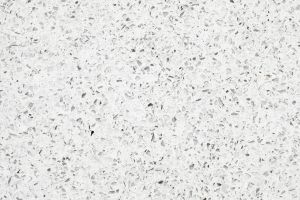 Not all quartz is in the same league, and as you shop for quartz to make your countertops, you’ll want to get the kind that both is high quality and is cut to your absolute specifications. And in that endeavor, you can’t go wrong with Kennedy Tile & Marble Inc. We at Kennedy Tile & Marble Inc. have over thirty YEARS of experience both selling and cutting quartz for countertops, so you can trust us to provide you with the highest-quality material cut exactly as you need it!